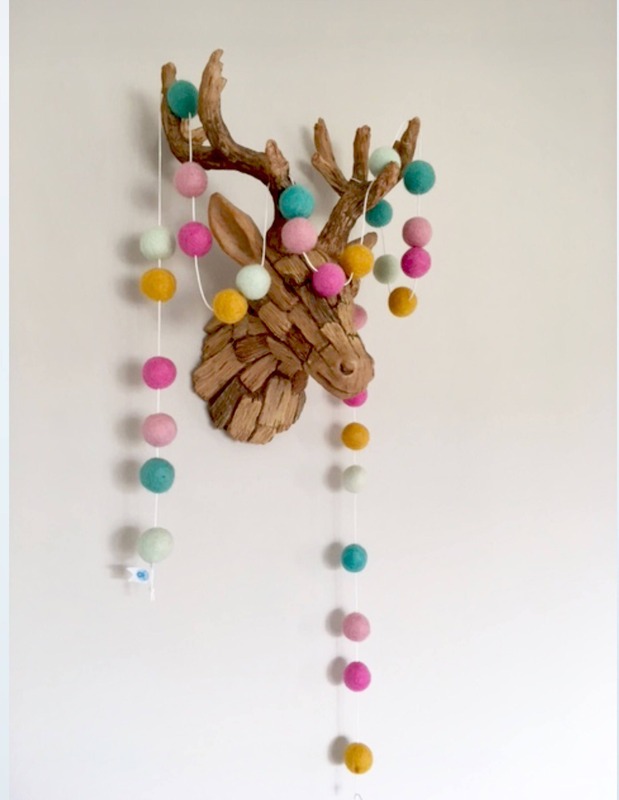 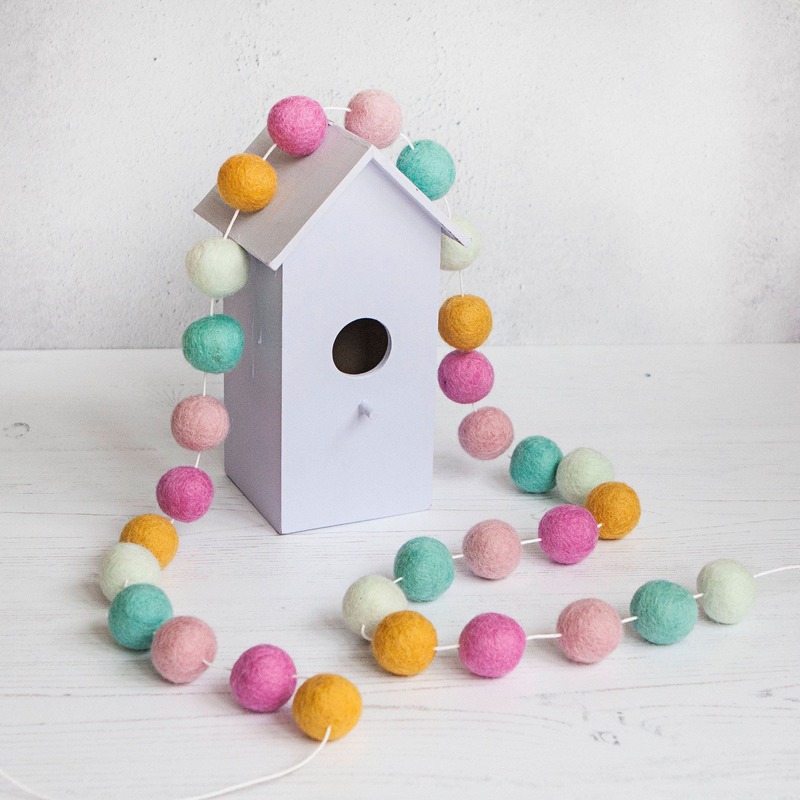 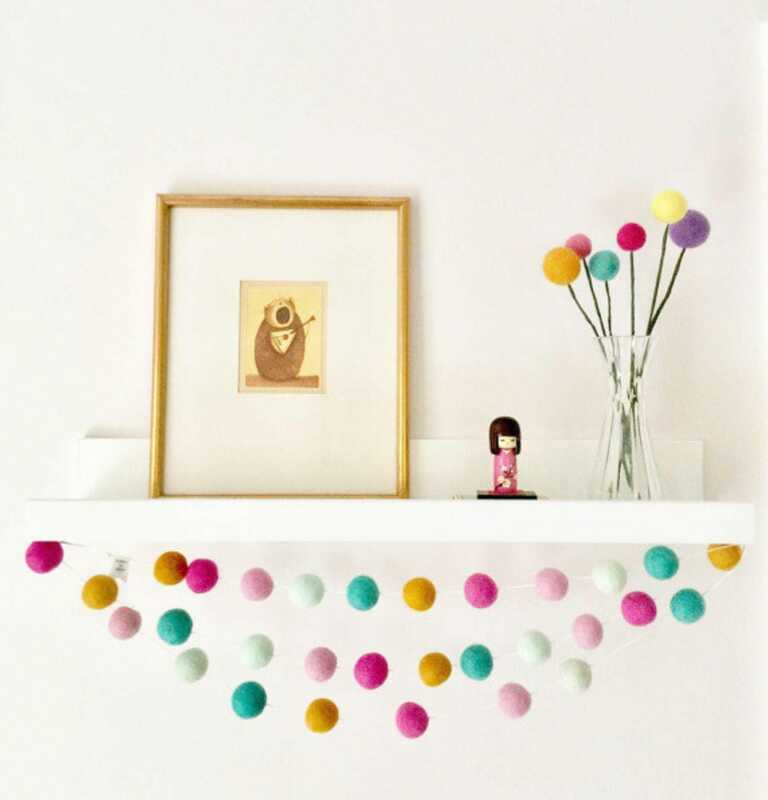 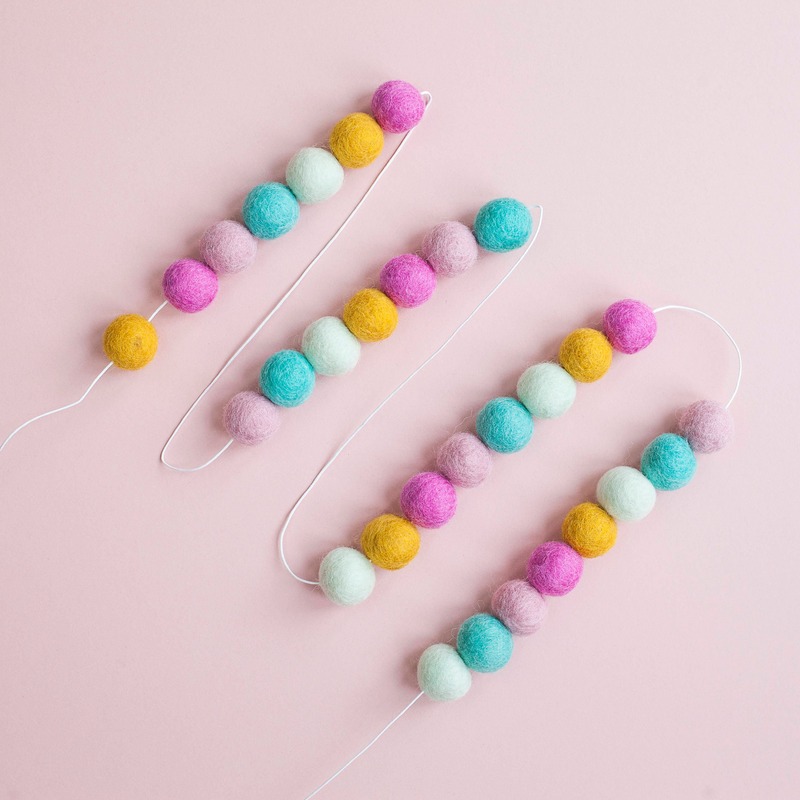 Now you can have my popular pastel pom pom garland in a kit format and make it yourself! 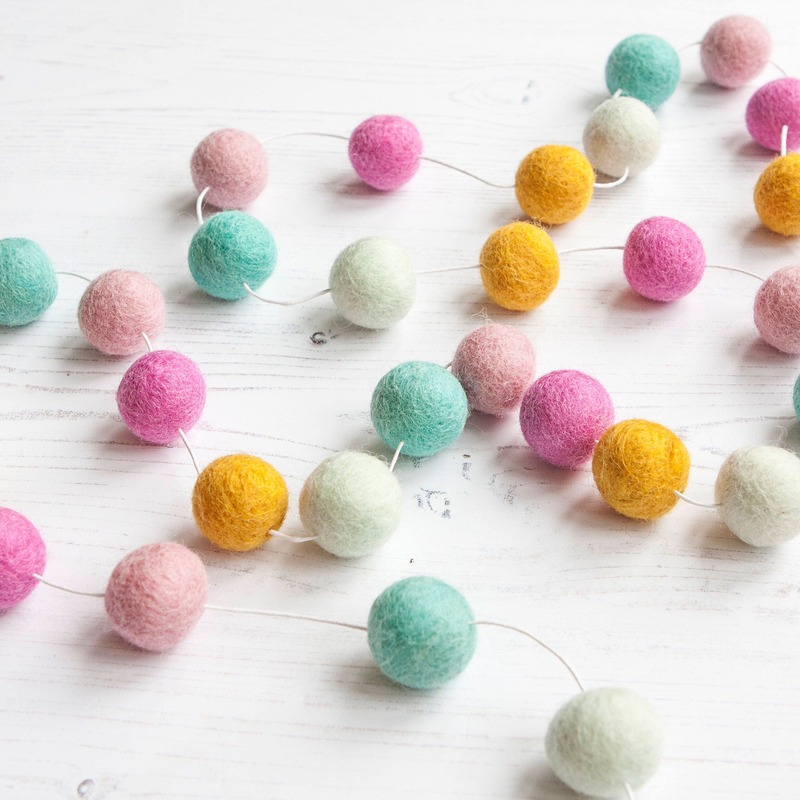 20 wool felt balls in mustard, bright and light pink, mint and turquoise. 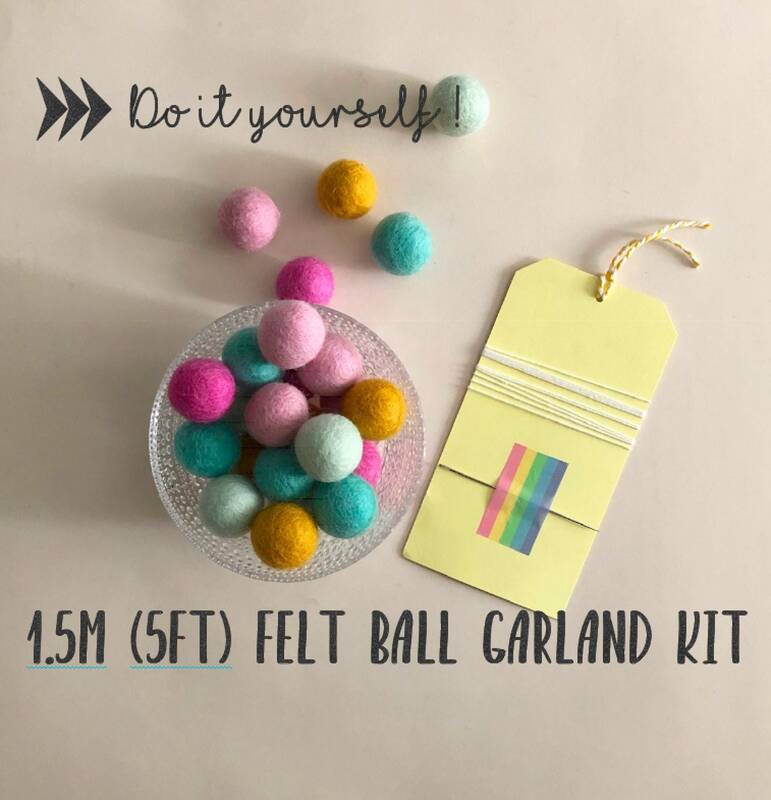 There will be an equal amount of each colour. 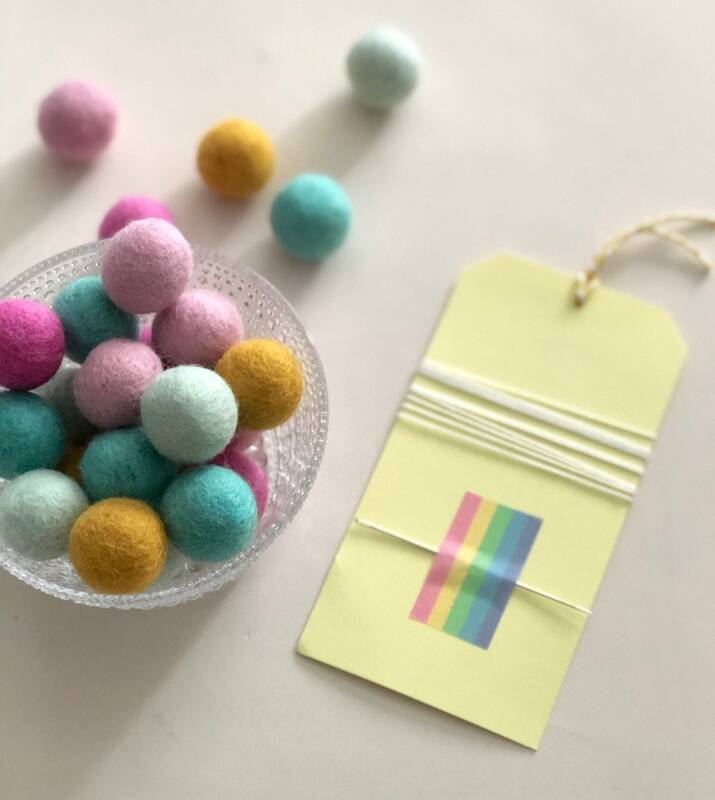 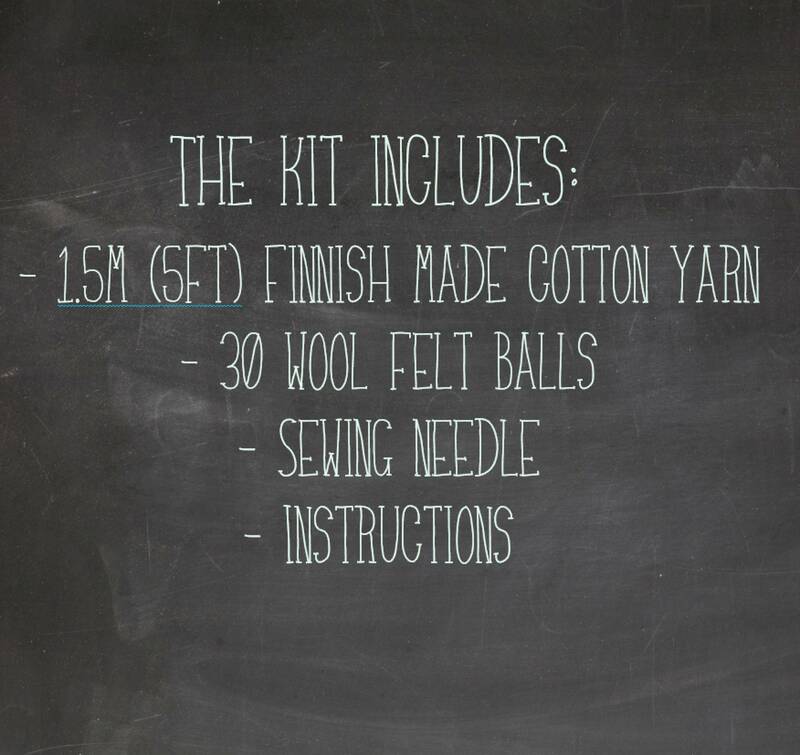 Each wool felt ball is approximately 2.3cm in size (approx 1 inch).